I love a good bargain, like properly love it. But what I ain’t one of, is a bargain hunter. Yeah I know this sounds like I’m pretty much contradicting myself, but I love a bargain without actually being that person who rumbles around in the clothing rails come sale time, lookin’ like a frantic idiot. Don’t get me wrong, this is alright as they’ll be savin’ more money and maybe having some fun at the same time, but for me I just can’t cope. The Emma Ryan school of bargain hunting goes a lil’ like this- Bag a good item at a fraction of the cost when your casually shopping. I should tell you to hit up a site or store as soon as the sales begin, but for that you’d seriously require a badge. Anyway, as I was hittin’ up the high-street with good ol’ Sue last week I came across these beautiful boots that caught my eye as I was actually strollin’ on by for tea and cake(no shame). Standing there in M&S I seriously nearly freaked out when I turned them over to find the price was ELEVEN GREAT BRITISH POUNDS. Yeah, you heard right! 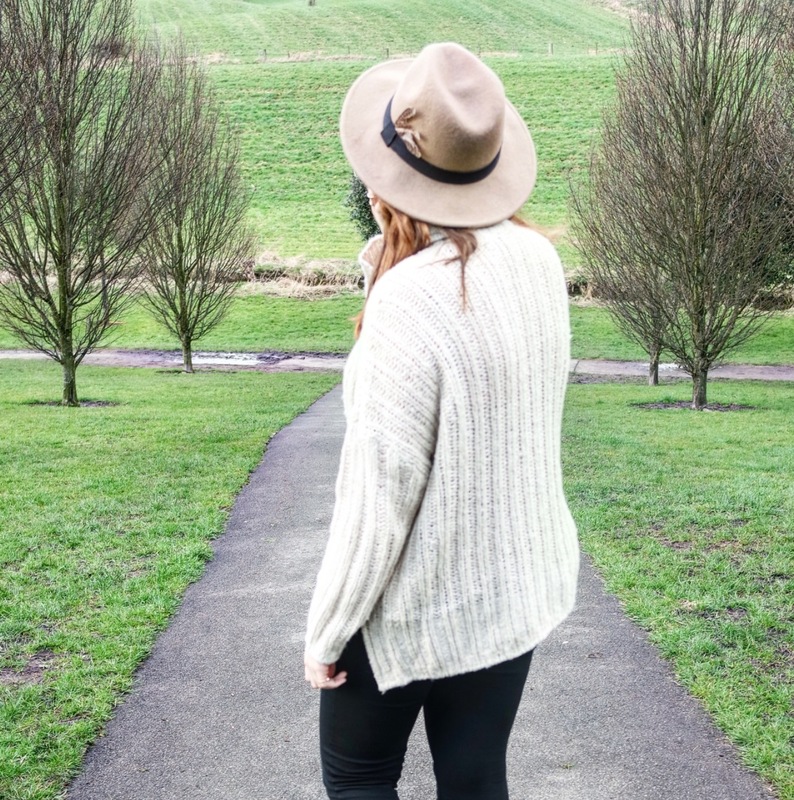 And not only this, as I slipped these bad boys on, they were seriously like the comfiest ankle boots I’ve ever worn. So much so, that I threw them on the very next day and knew i had to shoot them for the blog. 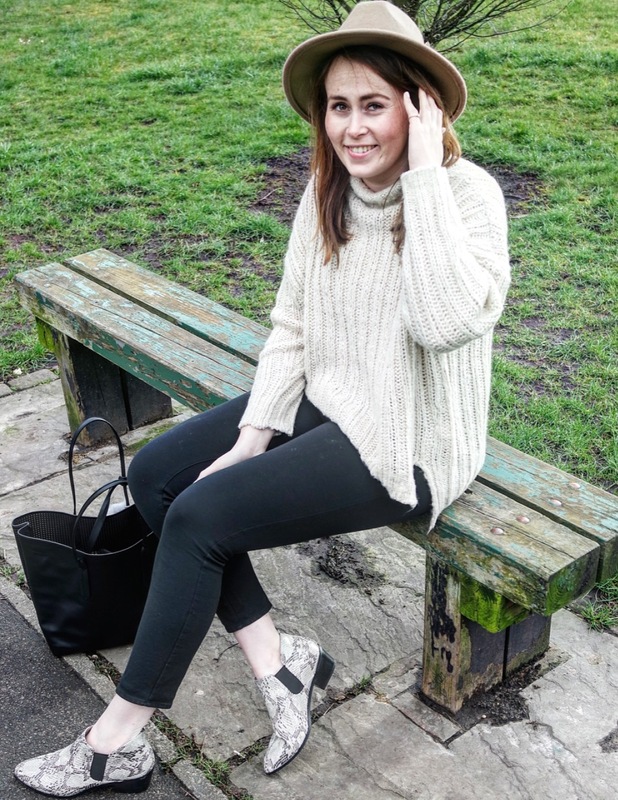 So, I present to you below, some photo’s of me lookin’ either awkward(like normal) or extremely giddy-blame the bottomless diet coke from Nandos earlier that day, in my new fave bargain boots. P.s- If you think you wouldn’t be able to rock this pattern of boot, then M&S also offer a tan suede version too at a lil’ bit extra in pricing. Go, go, go! And although I’ve checked online for this item, it sadly must be in-store only. 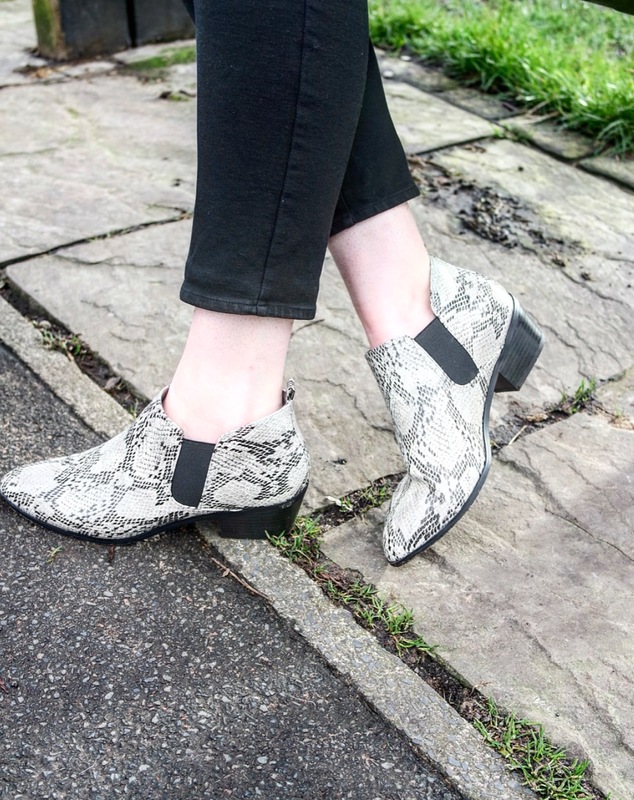 So, instead shop other fierce ankle boots from em’ here . Previous Post Birthday Weekends With Emma Bridgewater. Next Post Makeup masterclass with Jamie Genevieve. Love the boots! What a bargain too 🙂 The outfit looks so cosy as well!